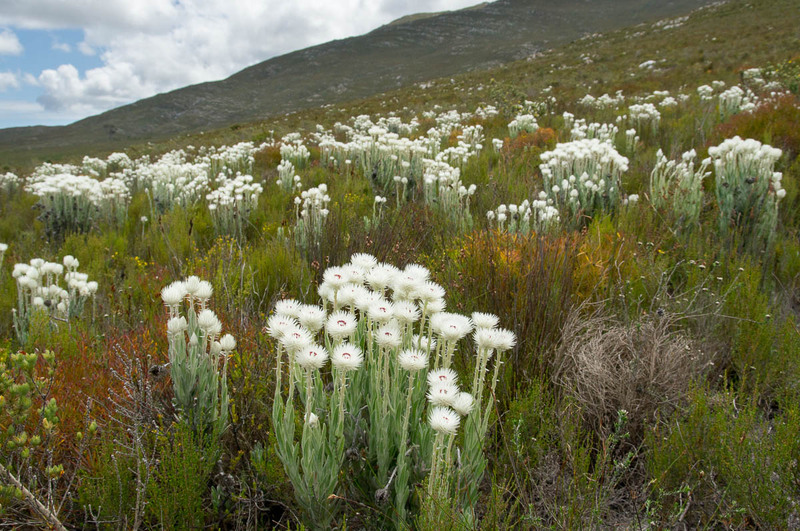 Snow is practically unheard of in the Klein River Mountains but in spring time, patches of the hillside are turned snow white. The plant is a member of the daisy family called Syncarpha vestita. 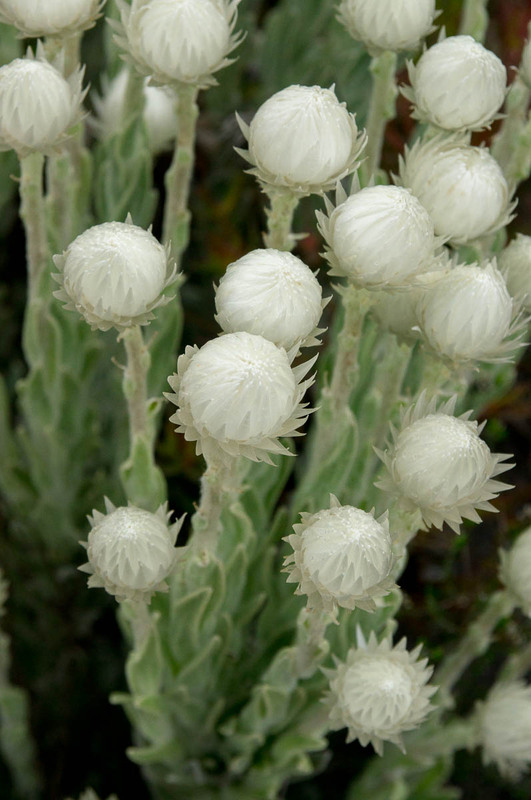 It is one of the Everlasting Flowers or Sewejaartjies, and this species is also commonly known as Cape Snow. The true flowers are actually a deep purplish brown with a bright orange stigma, but they are surrounded by numerous pure white bracts that envelop the flowerhead. These bracts serve two purposes. They protect the flowers when the insects are not active. So they close up over the flowers in dull weather or at night. They also act as the main attracting mechanism for the insects. The bracts are strong and papery and do not wither after the flowers have been pollinated. This helps to protect the seeds as they mature. It also means that the blooms keep their dazzling splendour for much longer than most other flowers (though there is no obvious reason how this benefits the plant). Hence the plants get the English name of Everlasting. This common name though is used for many flowers that produce similar long-lasting bracts (such as the Red Everlasting, Phaenocoma prolifera) and not just South African ones but throughout the world. 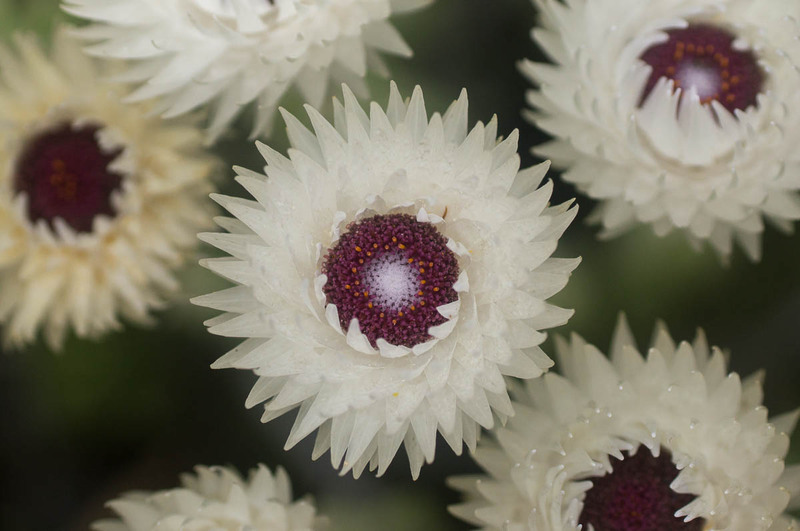 The Afrikaans name for these Everlastings is Sewejaartjie, literally the diminutive for seven years or seven year flower as diminutives are often used to refer to pretty things like flowers. Seven is a number that is often used to express a special quality or completeness, especially in the Bible (see Matt 18v21-22 for an example). So the name Sewejaartjie may well have the same implication as Everlasting; i.e. it is a flower that lasts for an indefinite time (not literally seven years). There is another variation on this though. Syncarpha vestita and other similar plants often appear in the veld the year or so following a fire. They then continue to bloom each year, but are relatively short-lived. 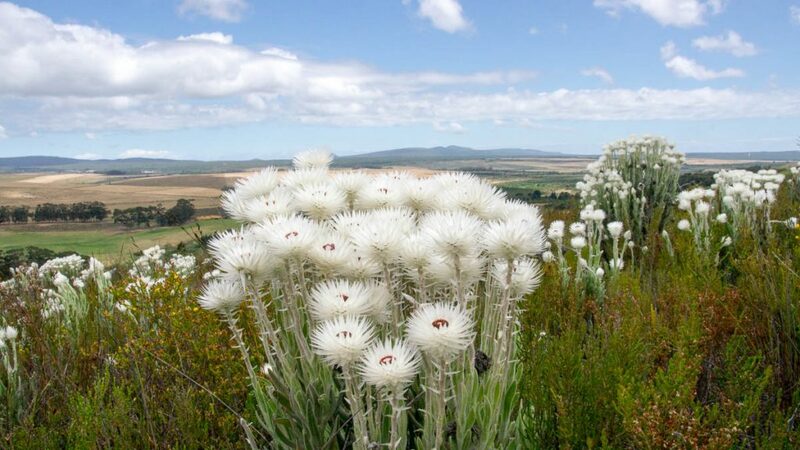 Therefore, after about 7 years, as the other plants in the fynbos have grown up around them, they begin to die off or flower less and become less visible. Thus Sewejaartjie might refer to the longevity of the flowering plant rather than the individual flowers. Regardless of the correct derivation of the common name, Syncarpha vestita is an unmissable and unmistakable flower in the fynbos during the early years after a fire. And the long-lasting flowerheads mean that their splendour lasts much longer into the summer each year than most other fynbos plants. Unfortunately, it is not easy to grow from seed, needing the encouragement of the conditions found following a fire to germinate. So the best way to appreciate it is to get out into the fynbos on a bright sunny day and enjoy the Cape Snow. 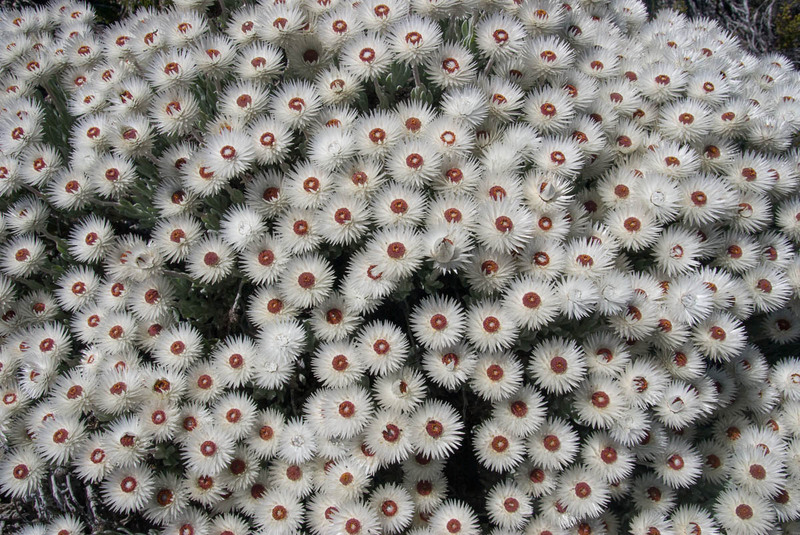 Asteraceae, Cape Snow, Compositae, December, everlasting, January, November, October, sewejaartjie, Spring, summer, Syncarpha, Syncarpha vestita. Bookmark.